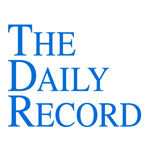 This week's Daily Record column is entitled "Gain Competitive Intelligence Using Social Media." This article is a continuation of the series in which I discuss how lawyers can use social media to accomplish different goals in support of their law practice. 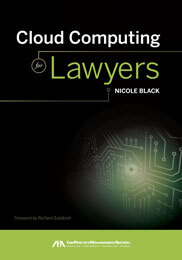 In Chapter 8 of our book, “Social Media for Lawyers: The Next Frontier,” my co-author, Carolyn Elefant, and I discuss one particularly useful goal: how social media can be used to gain competitive intelligence. In the past, acquiring competitive intelligence used to be a costly proposition, but social media greatly simplifies the process, making it a cost effective and worthwhile endeavor. The social Web is constantly creating information and data about any topic you can imagine. Google and Bing search engines now provide instantaneous access to information about any topic or event as soon as it becomes available. Lawyers can use real-time search to locate issues and trends that affect their practice areas. Law firms can tweak their online marketing efforts based on real-time search results. Litigators can track sentiment about a particular case or event and then tailor their litigation strategy accordingly. Competitive intelligence can also be obtained from LinkedIn, a social media platform that can be an invaluable resource for attorneys who represent businesses. The section of LinkedIn devoted to company profiles is particularly useful and offers a wealth of information about a given company. employee hires, departures and promotions, 2) new job postings and 3) updates to the company’s LinkedIn profile. Finally, if your law firm has a blog, competitive intelligence can be gleaned from your blog’s analytics data. Using either the analytics platform built in to your blog or free outside tools such as Google Analytics (http://www.google.com/analytics/), you can track and evaluate your blog’s Web traffic. The information that the analytics platform will provide includes traffic volume, traffic sources (i.e. refer- ring sites), the geographic location of each visitor, and the search engine terms used to locate your site. You can use the Web traffic data for a number of useful purposes, such as identifying promising practice areas based on the key words used to find your blog. You can also analyze referral sources to determine which social media distribution channels are paying off for you. For example, if you find that very little blog traffic originates from Twitter, then perhaps the time you spend interacting on Twitter could be put to better use on a different social media site. These are just some of the ways that social media can be used to glean valuable competitive intelligence. In upcoming weeks, I’ll share other goals that can be achieved using social media, ranging from showcasing your expertise and branding your law practice to locating information to support your practice areas.